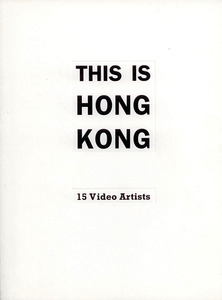 The publication of This is Hong Kong follows the international tour of the video exhibition organized by Para/Site Art Space. The book features essays by Alvaro Rodriguez Fominaya, Venus Lau and Robin Peckham. It includes descriptions of video art works by 15 artists from Hong Kong, with Leung Chi Wo, Adrian Wong or Leung Mee Ping among them. The catalogue is designed by Nadim Abbas.